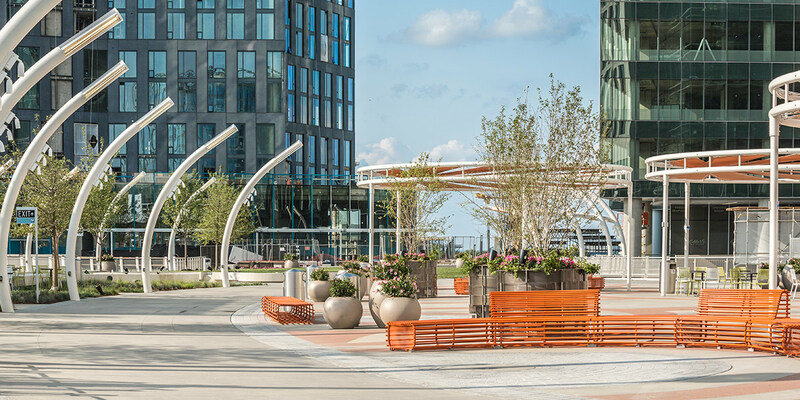 Visitors to Tysons Corner, Virginia are welcomed with a distinctive splash of color. 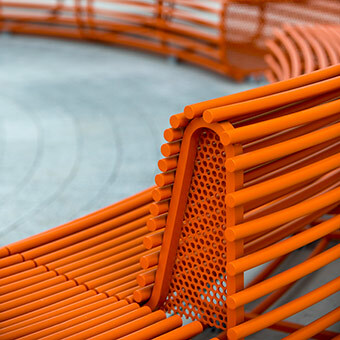 The shopping destination’s signature orange Rio Benches are designed exclusively for JANUS et Cie by the renowned multidisciplinary design firm Rios Clementi Hale Studios. 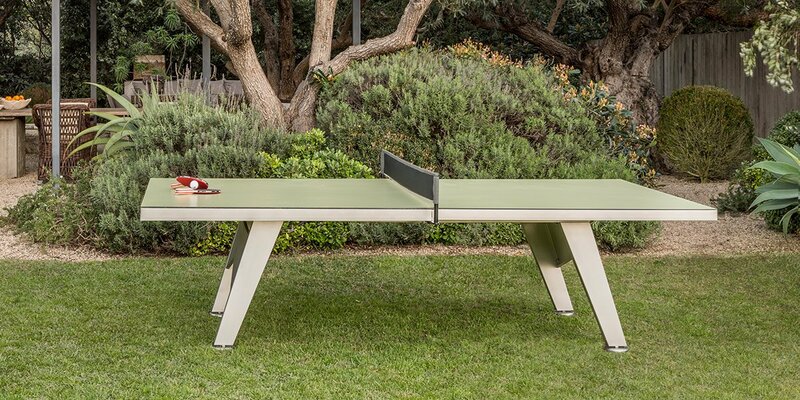 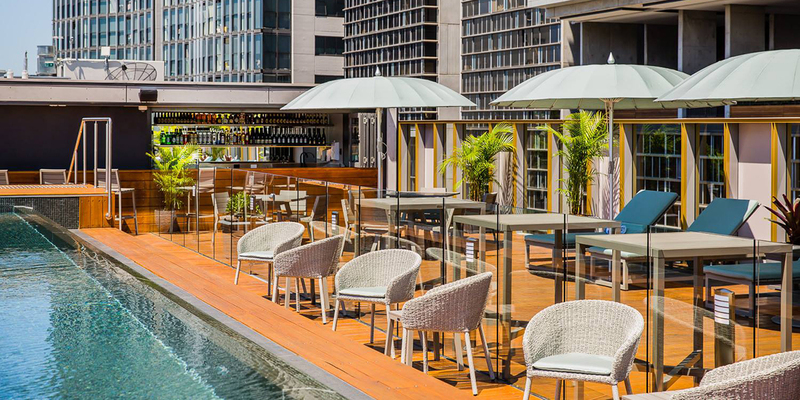 The award-winning firm originally created the collection specifically for this installation, and the result is a truly eye-catching outdoor space. 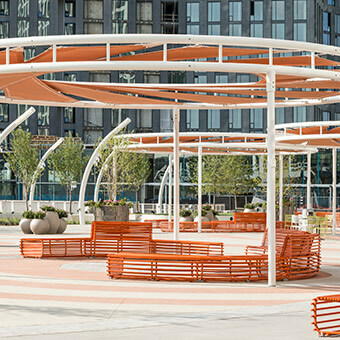 The custom orange benches are a nod to the region’s orchard history, and they create a vibrant contrast from the center’s industrial surroundings. 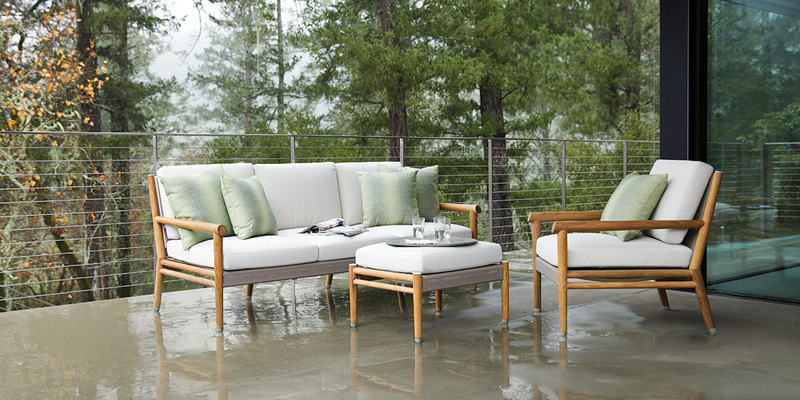 The Rio Benches themselves weave seamlessly into the natural space, giving the property a unique flow that is extraordinarily intentional. 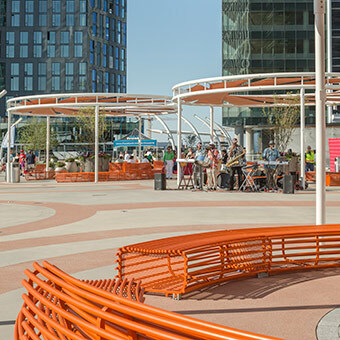 “The furnishings are a step forward in how municipalities, shopping centers and even hospitals think about welcoming their guests,” says Mark Rios, founding principal of the firm. 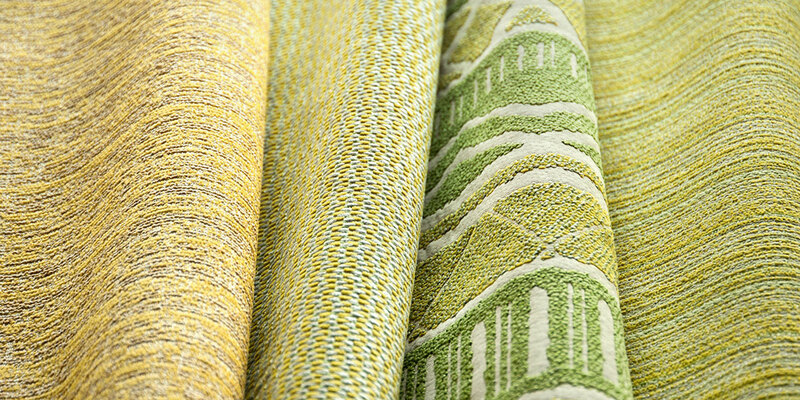 The Rio collection has been a landmark for JANUS et Cie, and the collaboration with Rios Clementi Hale Studios marks an important moment in the company’s journey in outdoor contract furnishings: seamlessly merging the practical with the playful.